On the eve of the new US sanctions Iran launched the sale of oil supply futures and on the first day managed to sell 280 thousand barrels of crude. This is while the country has announced its readiness to supply one million barrels of crude oil to buyers. In these transactions, the price per barrel was $74.85, 20% of these were paid with Iranian rials and the rest with foreign currencies; there's no indication of the exact day when the deliveries start. In the context of US sanctions, the system of sales in the stock market has its advantages. One of them is that buyers can buy the crude through intermediaries and not directly from the Iranian National Oil Company. London oil and gas expert Manouchehr Takin told Sputnik of some of the difficulties awaiting buyers of Iranian crude in the stock market before sanctions are applied. The first of these is the fact that all cargoes and ships in the Persian Gulf are tracked, and therefore can be sanctioned. "When the private sector buys oil, it goes to the Persian Gulf and the terminal of Khark Island. As for transporting, it is controlled by satellites, so that ships can't be lost and can be found in the case of an incident. The tankers also have these devices showing their position installed. We can say that the United States doesn't want Iranian oil to be exported and so it tracks the destinations of ships loaded in Khark. So the question is how can the private sector sell that oil?" 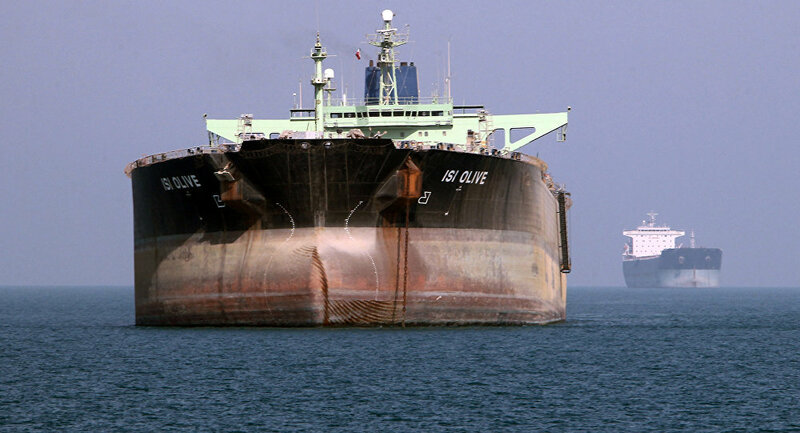 "In case a tanker arrives in India, Malaysia or another country to unload oil, the US will pressure these countries so that they don't buy it under the threat of sanctions," the expert explained. According to Takin, China is one of the importers of Iranian crude and is not afraid of US sanctions or threats. But the problem is that there is a danger that US sanctions will apply not only to the Iranian National Oil Company or any other company, but also to Iran's oil buyers. The economist said that another problem related to Iranian oil in the stock market is payments in the context of US sanctions on Iran's banking sector. "About four or five years ago, Iranian oil was subject to US sanctions and, as a result, India's oil debt to Iran amounted to five or six billion dollars. But the Asian country couldn't return the money because of the sanctions and the money settled in the Indian banks in the national currency. On that occasion, Iran was forced to buy Indian goods to collect the debt. Therefore, the question that can now be asked is how the buyers of the 280,000 barrels of oil will be able to export it and how they will pay for it," the expert concluded.